When my husband and I bought our first (and current) house, we loved it because we felt like it was the perfect starter home. It is small and cozy and perfect for two people – maybe a little baby too. The plan was to live there for 3-5 years and then move onto a bigger, more spacious McMansion-style home where we’d raise our kids. We’re now 6 years in and each additional year we seem to dig our heels in further, finding new reasons why our small starter house may actually be our perfect forever home. 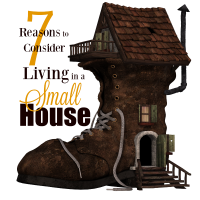 Because believe it or not, there are some amazing perks to living in a small home. Coupons can be a confusing thing. On one hand, we know that most coupons are a gimmick to get us to buy products we don’t really need. On the other hand, we’ve all seen Extreme Couponing and know that it’s possible to not pay for groceries at all. And for many of us, that would be a gold mine. 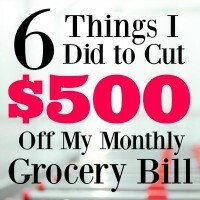 Even the best budgeters usually spend $500+ a month on groceries for their family! 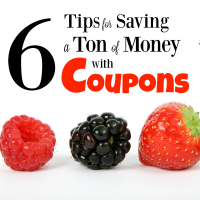 Imagine how much could be saved by figuring out how to really make the most of coupons….especially when it means getting free products. If this is something that you are interested in then you could take a look at doing something like fresh & co coupons, to get you started on your coupon life. 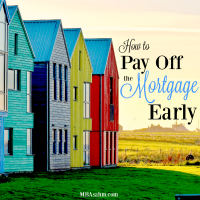 One of my BIGGEST goals right now is to pay off the mortgage. I won’t lie, it’s sooo hard to stay motivated when you’re chipping away at such a big number, but the benefits are just way too huge to ignore. It’s a critical element of financial freedom, peace of mind…and of course, more disposable income. 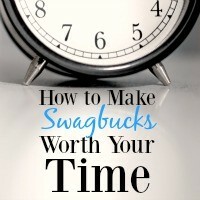 But the reality is that if you prioritize getting it paid off, it CAN and WILL happen. And your future self will thank you for it! In the personal finance world, I feel like all I read are posts about ditching the credit card and shifting to an all cash world. I’m not going to deny the potential downside of credit cards (or the upside of cash), but I just can’t stop myself from laying out all the benefits of doing the opposite – exclusively using a credit card instead of cash. The only important rule you have to remember with this method is that you have to pay off your full balance every month. 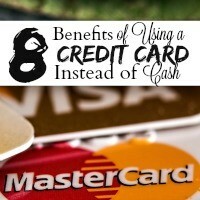 But if you can do that then you can seriously improve your finances. This is what I do and I’ve never had a moment where I regret it. In fact, I think it’s the smartest way to manage your money. This year is packed full of goals for me, one of which is to drastically cut my grocery bill… ideally in half. My husband and I are pretty good at not splurging on fancy restaurants, or even eating out a lot, yet still our grocery bill is by far the largest bill we’ve got (aside from the mortgage). So after the holidays died down, I got to work…and holy moly, what a pleasant surprise! 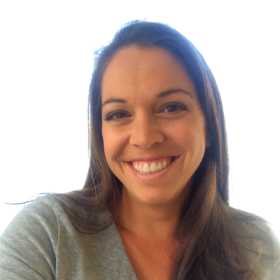 I made a few big (but ultimately easy) changes and the results were phenomenal – I saved over $500 the first month of my attempts! As far as I’m concerned, that’s the same as making $500/month, so I couldn’t be happier. 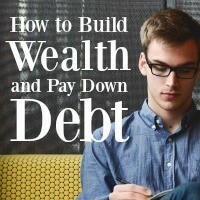 Building wealth and paying down debt – the unattainable goal that most of us statistically never reach – is ironically very, very simple. Foolproof even. In fact, I think one of the biggest reason that most people don’t build wealth (or pay down debt) is because the real solution, the one right in front of them, is just too simple. It’s boring. It’s slow. It isn’t glitzy and it’s not something to write home about.